in delivering meaningful support and care to your loved ones in the comfort of home. 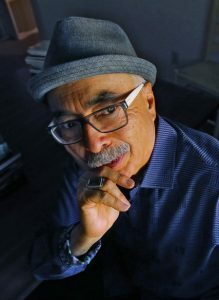 In June of this year, California native and one-time California Poet Laureate Juan Felipe Herrera was named to be the next U.S. Poet Laureate. He will take the ‘quill’ of office in September during the National Book Festival from Charles Wright, the current poet laureate. Herrera is the first U.S. poet laureate of Latino descent, and he credits his love of poetry to his mother, who brought poems and songs from her native Juarez when his family migrated from Mexico before he was born. The Librarian of Congress, who chose him for the post, compared his work to that of Walt Whitman, and Leaves of Grass, widely recognized as an American masterpiece. A true native of California, Juan Felipe was born in Fowler, CA and has spent his whole career writing, teaching and speaking poetry throughout the state. He attended UCLA and Stanford, earned his MFA from the University of Iowa Writers’ Workshop, taught at CSU-Fresno, and recently retired as a professor from UC Riverside. Herrera has written nearly 30 books, ranging from the expected poetry collections to novels in verse to a slew of children’s books. Throughout all of them, his life in California and his Latino heritage shine through, and his native California has rewarded him. His honors include the Hungry Mind Award of Distinction, the Focal Award, two Latino Hall of Fame Poetry Awards, and a PEN West Poetry Award. In addition, he earned a Regent’s Fellowship from UC Berkeley, as well as fellowships from the National Endowment for the Arts, the Bread Loaf Writers’ Conference, and the Stanford Chicano Fellows. He has also received several grants from the California Arts Council. The role of U.S. poet laureate is a one-year term, and unlike that of, say, Miss America, it carries few responsibilities, but those who wear the figurative laurels usually use their spotlight to promote poetry to a wider audience. Herrera was an active poet laureate for California between 2012 and 2014, and so the heavy poetry money is on him keeping that trend going. The office of poet laureate seems to be more like that of First Lady, so in the vein of literacy, childhood obesity, and roadside beautification campaigns of the past, maybe he will launch a ‘Just Say Yes To Poetry’-style crusade during his year wearing the national beret. Casa Companion Homecare Solutions offers piece of mind by providing extraordinary care and service in the comfort of home so that clients can maintain their independence, and their families and care providers have the time to focus on what’s most important – each other. We offer assistance at every level of care: hourly, daily, live-in, overnight, 24/7, and respite care. Our services that will make your loved one’s life easier, happier, and healthier as he or she navigates changes in life. A custom care plan around your loved one’s needs, in the way that will support you and your family most effectively. A Casa Companion Home Care Aide can help you keep recovery on track. Our caregivers help maintain a fall-proof environment to reduce falls in the home and the risks associated with them. The family caregiver can trust the Casa Home Care Aide with the caregiving responsibilities while she takes a break and takes care of herself. 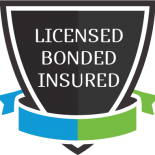 ©2018 Casa Companion Homecare Solutions® - Do not copy. All rights reserved.